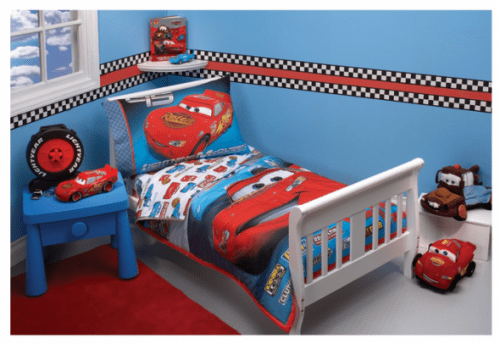 The Disney Cars Movie 4 Piece Toddler Bedding Set is on sale for $39.99 at Amazon right now. That's 30% off the list price of $56.99! Also on sale right now is the Delta Cars Movie Toddler Bed for just $45.00. That's 44% off the list price of $79.99!